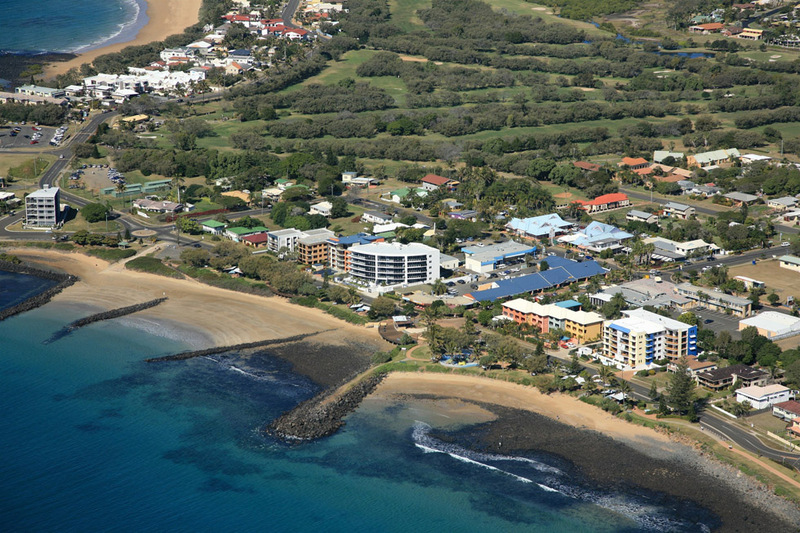 Many people are discovering the assets of Bargara and the Coral Coast. Located on the Queensland coast near the city of Bundaberg, the advantages of the Bargara lifestyle are cherished by its residents. The region boasts one of the top six temperate climates in the world - the sunshine is almost guaranteed! Bargara has recently undergone the gradual evolution from a sleepy sea-side village, to a growing real estate and lifestyle destination. The coastline's pretty beaches and foreshore development, along with shopping centres, schools, marina's, leisure facilities and clubs offer residents plenty to do and enjoy. Cafes, restaurants, motels and hotels also dot the coastline. Bargara attracts many visitors and travellers all year around for excellent diving and coral viewing, and as a jump off point to the Southern Great Barrier Reef and the stunning Lady Musgrave and Lady Elliot Islands. During November to March many also come for the unique eco-experience of visiting the Mon Repos Turtle Rookery - the largest in Australia. There is so much on offer in this pristine sea-side town. Come and see for yourself! The beautiful sub-tropical city of Bundaberg can be found a short 15 minute drive from Bargara and the Coral Coast. Bundaberg is a thriving modern city boasting excellent shopping, fine restaurants, cinema complexes and many attractions. A modern airport, rail services and major coach terminal support Bundaberg on a daily basis. Tourism and Agriculture are dominant industries ensuring a positive economical climate. Bundaberg has major shopping centres, public and private hospitals, restaurants, clubs, tourist attractions, TAFE College and University campus, and offers facilities for all range of sports. And don't forget the famous Bundaberg "Spirit", Bundaberg Rum. Visitors can have a sample at the Bundaberg Distillery. It is not widely known that the Great Barrier Reef has its southern tip just off the coast of Bargara. Snorkellers and divers can experience a wide array of soft and hard coral and many fish and marine animals without even getting in a boat! 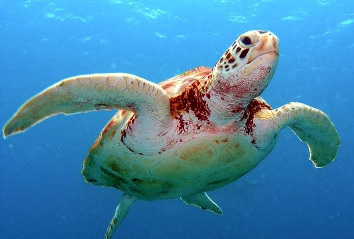 They can be found at many of the world class dive locations along Bargara's beaches. For an even more spectacular eco-experience, a visit to our two coral cays, Lady Musgrave and Lady Elliot Islands is a must! You can access the Islands by tour boats from Bargara or fly direct to Lady Elliot. The Great Barrier Reef is a wonderfully diverse ecosystem- with more than 400 species of coral, 1,500 species of fish, 4,000 of molluscs and 260 species of birds. Reef walk, snorkel or scuba dive in your backyard. Perfect for anyone looking for an exotic sunkissed and pristine environment to live, The Coral Coast, and the Southern Great Barrier Reef is a rare escape. Separated from the mainland by a narrow channel, Fraser Island is the largest Sand Island on Earth and an ecological masterpiece. This well-known tourist destination is just over an hour's drive from Bargara and Bundaberg. Vast tracts of sand dunes and crystal clear, blue freshwater lakes are balanced with lush rainforest and surrounded by endless white beaches. Native wildlife abounds including dingoes, brumbies (wild horses) echidnas, wallabies, and 206 species of birds: Peregrin Falcons, Kingfishers and Jabirus just to mention a few. Fraser Island is World heritage listed and almost the entire island is protected National Park. For camping, bush- walking and four wheel driving, the unique contrasts of Fraser Island are a must. Deserted sandy beaches, cool eucalypt forests, with crystal clear streams, and the beach and lake fishing are great. There are shipwrecks and ancient Aboriginal sites to explore or just draw a deep breath and take in the solitude. 200,000 people visit the island each year, but don't be surprised if you think it's deserted. From the brilliant coral waters to ancient sandstone cliffs and rainforest gullies - few regions in Queensland offer such a wide choice of scenery and experiences for all nature enthusiasts. These parks are just a short drive from Bargara. Many Humpback Whales pass close to the shores of Bargara en route to Platypus Bay off Fraser Island. Schools of Humpback Whales can be seen from mid July to mid October during their annual migration. Whale watching tours are available from Hervey Bay, just over an hour's drive south.